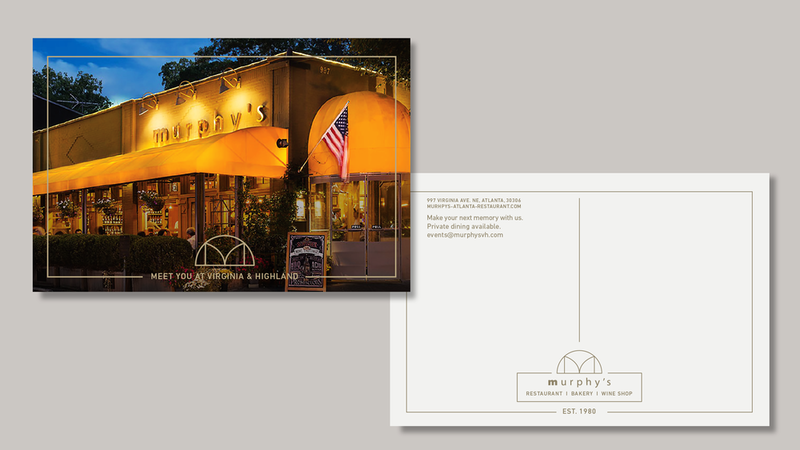 Murphy's, an icon in the Atlanta restaurant scene decided to rebrand recently and PLAY was lucky enough to capture Tom Murphy's attention. "It's been a lot of fun working with Tom and the Murphy's staff. The energy is unmistakable at Murphy's and we hope we did a good job bringing the relaxed but sophisticated feel into the new Murphy's brand." says Player. PLAY is developed a new logo, menus, check presenters, marketing efforts and more. One of the best perks on working with Murphy's is to enjoy the restaurant, their food, atmosphere and wine.